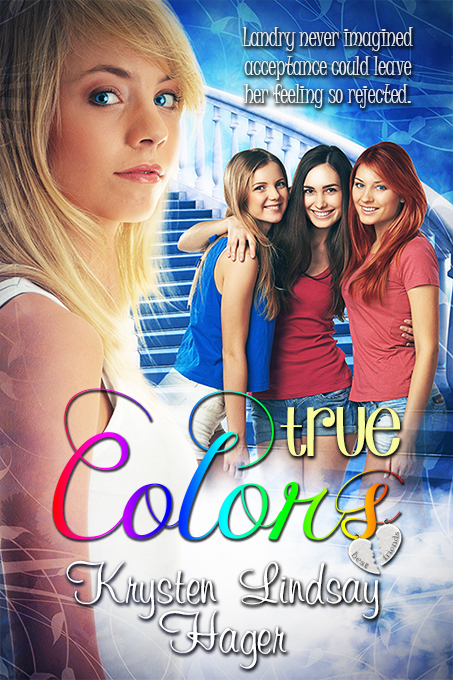 It was a thrilling experience when I first saw the cover of my novel, True Colors. Back when I signed the book contract, I wondered what the cover would look like—I pictured seeing the title, what they’d choose for the picture and background, and seeing my name on it, too. When the time came to discuss the cover, I sent the cover artist a link to my Pinterest board of how I imagined some of the key characters in my book. Then some pictures were emailed to me and one of the girls reminded me of a couple of my cousins. I saw one picture and thought, “Oh, she looks like family. That’s my Landry.” And later, when I saw the entire cover with its poppy cheerful colors and the three other girls on it— it just took my breath away. I briefly wondered if the ”Landry” model knew anything about being on the cover the book, but it wasn’t until I saw Facebook pictures of writer friends who went to a romance writing conference that I thought more about it. I saw so many of the authors there taking pictures with their male cover models who were also at the conference. I thought, wow, wouldn’t it be amazing to meet my cover model? Fast forward two months and I got an email on my Facebook author page from the cover model, Evell. Her friend had seen the book online and showed it to her. I was in shock. She told me the picture was four years old and she was now twenty-two (that was total shock since my character is thirteen and turns fourteen in the story). She was very sweet and we became Facebook friends and then I noticed where she was from—Poland. Not only was that a coincidence since I’m Polish (and I said she looked like some of my family members), but she was also from a town right next to the city where my great-grandfather lived before coming to the United States. There were so many little coincidences—and the fact she even found out about the book is amazing. It’s crazy how fate can play a role in things like that. 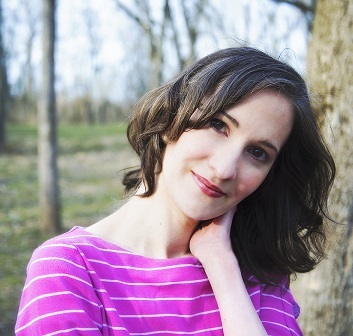 Plus, she shared some photos of herself and it was surreal getting to see “Landry” in her twenties! My birthday was about a week later and Evell wrote a birthday wish on my Facebook wall. She wrote, ““Remember that you’re never gonna lose, either win or learn.” That has become my new motto. Everything about this book writing (and publishing) journey has been a learning experience—it has showed me so much about life, friendships (for one, can you believe I’m still having some of the same conversations about friends that Landry has in the book—and she’s in eighth grade? ), and how the universe is anything but random. As I get feedback on the book from both friends and readers I have never met before, I see how there is so much common ground between all of us. I have had comments from a 76 year-old man telling me he wish he had read this book when his twins were this age and how he can flash back to those days himself, to a single father saying reading it with his girls has helped him understand what they are going through as they deal with their early teen years. I’ve heard from moms with kids dealing with the same friend drama and from friends my age who say that not only does the story bring back memories, but they realize they are still dealing with the same “frenemies” stuff they thought they left behind in junior high. Even my husband said reading the story made him realize how girls that age were going through the same confusion the way boys at that age are/were. The one thing I hear over and over again is, “We all go through it,” and I realize how much we are all connected. Tagline: A little competition can really bring out people’s true colors. Blurb: Landry Albright just wants to be one of the interesting girls at school who always have exciting things going on in their lives. She wants to stand out, but also wants to fit in, so she gives in when her two best friends, Ericka and Tori, push her into trying out for a teen reality show modeling competition with them. Landry goes in nervous, but impresses the judges enough to make it to the next round. However, Ericka and Tori get cut and basically “unfriend” her on Monday at school. Landry tries to make new friends, but gets caught up between wanting to be herself and conforming to who her new friends want her to be. Along the way she learns that modeling is nowhere as glamorous as it seems, how to deal with frenemies, a new crush, and that true friends see you for who you really are and like you because of it. Back Cover : Every day I walked down the sidewalk to school and wished I were one of the interesting popular girls who ran up with exciting news. Just once I’d like to be one of those girls instead of the being the one who didn’t get invited to things because people “forgot” about me. This entry was posted in authors, Blog Tours, books, Double Decker Books, giveaways and tagged books, giveaways. Bookmark the permalink. Thanks so much for featuring True Colors!